Daniel Ford: Pardon the pun, but Michael Farris Smith’s latest novel The Fighter (out March 20 from Little, Brown and Company) knocked me out cold. Southern noir just doesn’t get much better than this. We’ve been following Smith’s work since his debut Rivers, and it’s been a true pleasure seeing his work progress with each new novel. The Fighter is an intense read for myriad reasons, and you’ll have to set it down a time or two to swig a shot of bourbon or take a cold shower, but Smith infuses this book with the honest, empathetic humanity that’s become the hallmark of his fiction. This is no holds barred, campfire storytelling, and, frankly, I’m jealous as hell that Smith is so good at what he does. Daniel: I made the mistake of reading the late Michelle McNamara’s I’ll Be Gone in the Dark right before going to bed. I made sure my trusty Louisville Slugger was close by before I finally shut my eyes (after jumping at every shadow, of course). Sean Tuohy and I interviewed McNamara way back in 2014, and we came away from that discussion convinced she was more passionate about her work than anyone we had talked to up to that point (and maybe since). To see her words in print a few years after her death is a surreal experience, but a welcome one. Yes, McNamara’s investigation into the Golden State Killer takes her into some shadowy corners, however, owing to McNamara’s natural inner light, the reader never feels completely engulfed in darkness. I'll Be Gone in the Dark is an exceptionally well-crafted and researched narrative by a skilled writer and investigator who was taken from us much, much too soon. Daniel: What better way to explore “The Wire,” truly the greatest television show ever made, than with an oral history? Jonathan Abrams’ discussions with the cast and crew yielded just as much magic as what ended up on the small screen. Andre Royo’s protective and brotherly feelings toward his character Bubbles. Idris Elba literally drinking J.D. Williams under the table. David Simon fighting with HBO in order to write and execute his exact vision. The City of Baltimore embracing a cinematic version of itself that hemmed closer to reality than any show on record. 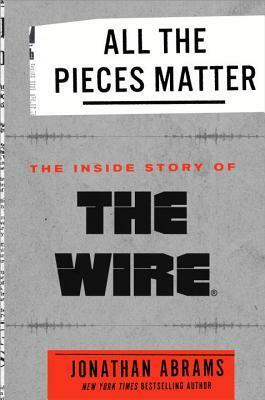 Fans of “The Wire” will love every word, and every television junkie will appreciate the craft and love that went into making it. 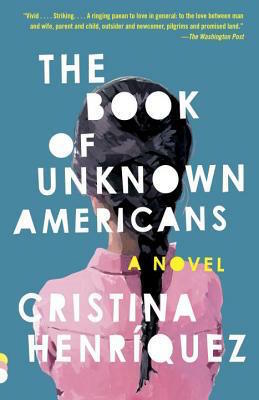 Melanie Padgett Powers: I read this book while traveling to Guatemala, which was fitting because it's about Latin American immigrants in the United States. It’s lovely and poetic, but sad and frustrating because of its timeliness. It really brings home what immigrants are facing in this country today. The book focuses on one family, but after a while you start to learn about their neighbors’ stories too. These are fully developed characters with lives you rarely see portrayed in books and whom most of us don’t get to know in real life. For that alone, it’s worth a read. Daniel: Uzodinma Iweala’s incredibly powerful second novel Speak No Evil is staring at me right now. I feel like it’s been glaring at me since I finished it. His characters are still speaking to me, and his narrative is still punching me in the gut. Iweala’s first novel Beasts of No Nation was adapted as a Netflix original, and readers will be lucky if that happens again with this novel. Just masterful and utterly devastating. Adam Vitcavage: Set in at the rise of drag culture in the late-1980s, The House of Impossible Beauties by Joseph Cassara liberally takes historic members of the Latin New York City club scene and reinterprets them. Anyone who thinks this novel will simply be about drag competitions or the club scene will quickly learn it is a family drama. Angie and Hector Xtravaganza want to create a safe space for people like them. They are joined by a sensitive trans girl named Venus, a fashionista named Jaunito, and a butch queen named Daniel. There are only flashes of the club world. Instead, the novel follows the main characters navigating their personal lives. They turn to turning tricks near the piers to pay for money, attempt to pass as female models, and learn that love is even more complicated than they thought. Daniel: I marveled at what Yang Huang was able to pack into her slim short story collection My Old Faithful. Huang’s exploration of a close-knit Chinese family through everyday experiences (both in China and the United States) is expertly wrought, and her themes are as timely as they are timeless. The author employs an earthy, subtle humor that suggests an older soul at work. Very much looking forward to Huang’s appearance on the show so I can figure out how she pulled it off! Daniel: I picked up Joe Fassler’s Light the Dark at Sherman’s Books, one of my favorite bookstores in Portland, Maine. This book has been on my radar ever since Caitlin Malcuit’s interview with Fassler last September. I always look for an added dose of literary inspiration while on vacation, and this collection ended up being the perfect complement to treats from The Holy Donut. Fassler asked some of today’s best known authors, “What inspires you?” The answers, from the likes of Stephen King, Junot Diaz, and Roxane Gay, will be buzzing in your head long after the caffeine (or in my case, sugar) leaves your system. Daniel: Nathaniel Philbrick, author In the Heart of the Sea, Bunker Hill, and Mayflower, is one of my favorite writers. I was completely charmed by his personal memoir Second Wind, which was recently re-published by Penguin Books. I don’t know anything about sailing, but, being an author myself, I know a thing or two about persistence in the face of adversity and disappointment. Philbrick’s quest to reestablish his Sunfish sailing bona fides is not only filled with watery mishaps and questionable navigation, but also spirited family competition and bonding. The author always infuses his historical narratives with some of history’s more colorful characters, but I’m glad to see his own personality on full display here. Melanie: As a native Hoosier and fan of the movie “The Fault in Our Stars,” I have been curious about John Green for several years. When he first started publishing his books, I was too old to be in his young adult audience, but any avid reader certainly heard how he was changing people’s perceptions of young adult books. Reading Turtles All the Way Down makes me want to search out more of his books. In this book, he gives us Ava, a 16-year-old girl with a severe anxiety disorder that affects her relationships with everyone around her, including her mother, best friend and a former friend she reconnects with. Green has OCD, which allows him to know exactly how to put Ava’s anxiety into words that many of us can relate to—or learn how our loved ones with anxiety feel. I quickly developed a big sisterly love toward Ava and her friends, and I cheered her on as she struggled with her disorder while also trying to play “Encyclopedia Brown” and unravel a local mystery. Daniel: Azareen Van der Vliet Oloomi’s Call Me Zebra is deliciously erudite. Her use of language and her word choices perfectly match her characters. The story centers on Zebra, an Iranian exile living in New York City. The hyper-educated heroine is the keeper of her family’s vast knowledge, and attempts to retrace the journey she took with her father en route to the United States years before. I’ve been slow-reading this book, not wanting to rush through my time with Zebra and the rest of the novel’s eclectic cast of characters. I’ve laughed. I’ve gotten misty. By the time I’m finished, I know I’m going to be ready for more from this exceptional new voice. Daniel: Find a fedora. Eat a good meal in Southern California (perhaps at one of Danny Beckett's favorite joints). 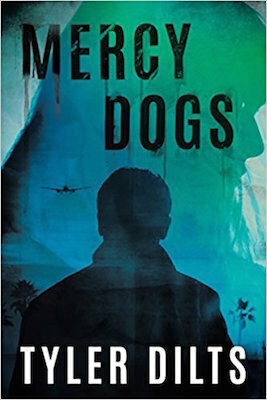 Dig into Mercy Dogs. Repeat. You can’t help but get a little dust in your mouth when you’re reading about the reckless Texas of J. Todd Scott. High White Sun (out 3/20 from G.P. Putnam's Sons) is the follow up to The Far Empty and I can already feel the hot Southwestern wind pushing against my face. I’m sneaking out of March and into April (April 10 to be exact) with this one. Country Dark is Chris Offutt’s return to fiction after too much time away, and this is a story that will make you grit your teeth and open your heart, at the same time. Listen to the Season 2 premiere of NovelClass, live from The Dean Hotel in Providence, R.I.! Also, start reading Swamplandia! by Karen Russell and tune into Dave Pezza and Caitlin Malcuit’s discussion on March 26.